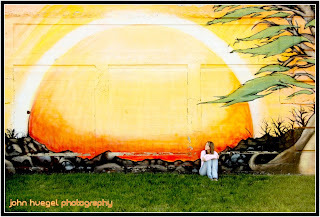 We were shooting Lauryn’s Senior Photographs this week and we were placing her near some great painted wall murals. 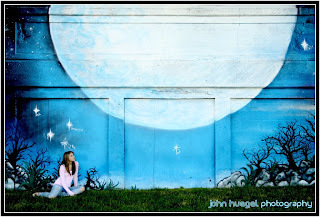 The orientation of the artwork and our subject put her “east of the sun” in one image and “west of the moon” in another, as the wall faced south. I know this arrangement of images will be a favorite of my friend Solitaire Miles, whom I am certain has performed this great song numerous times. I believe Sarah Vaughan and Frank Sinatra performed it decades ago, followed by Diana Krall in recent commercial recording. But I prefer Solitaire’s lilting voice above all other jazz vocalists, current or past. Lauryn, this is a very nice tribute to a great jazz standard.